My oldest son Benjamin started Kindergarten this fall. Even though he doesn’t usually have much homework, I wanted to create a little homework desk area for him. Since we also just moved only about 2 weeks before Kindergarten started, it was also important for me to get a little more organized. I was very curious and excited to try out the new Scotch™ Dry Erase Tape and Chalkboard Tape. Even though they are the same size as the other Scotch® Duct Tapes I used for this project, they are actually removable tapes (which is awesome!). 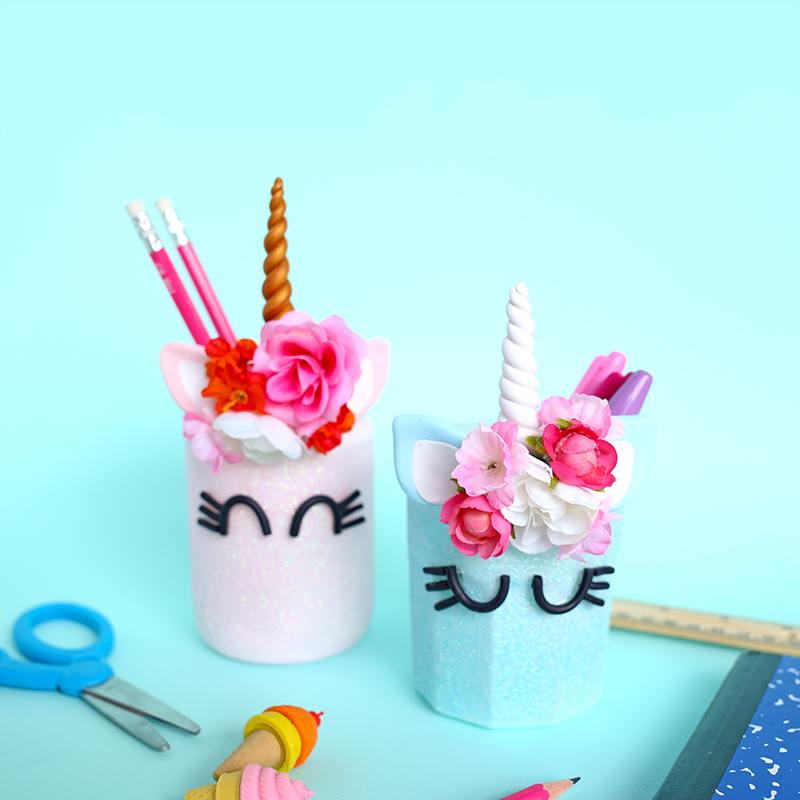 They are so easy to use, and there are so many fun ways to use them. 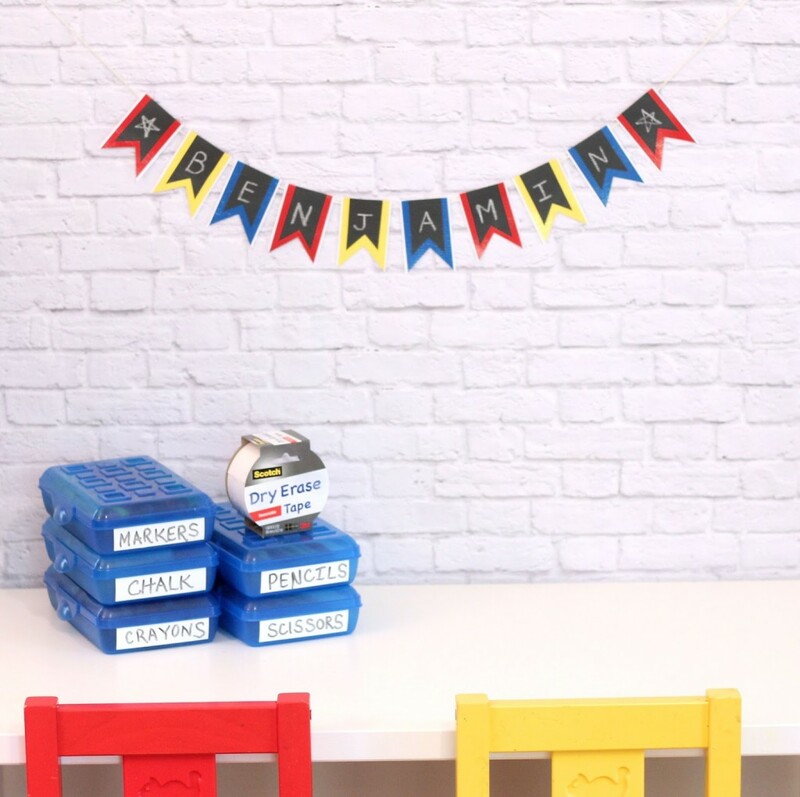 First, I made a chalkboard banner to go over his desk area (scroll down for the step-by-step tutorial). What’s great about the chalkboard tape is that it writes like a real chalkboard and it is completely erasable. 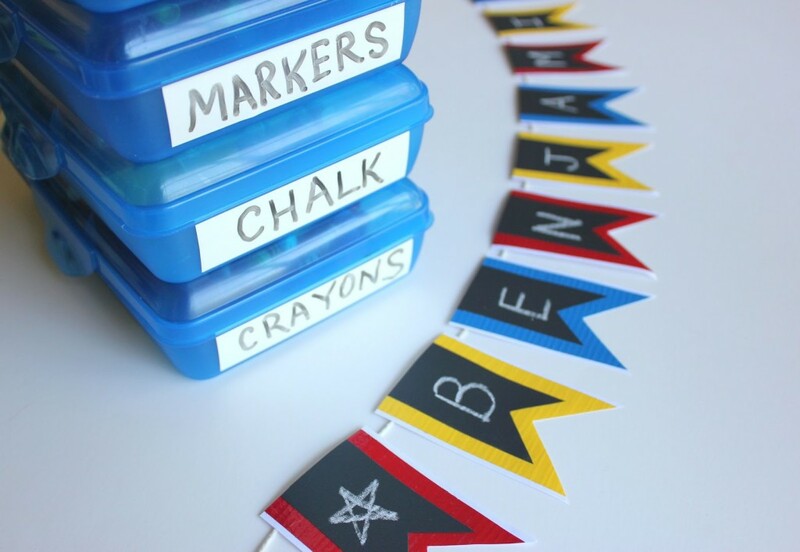 I made it with just enough spaces to write Benjamin with stars on both sides, but I can change it throughout the year to things like “homework” or “celebrate” or “Christmas”. I also used the dry erase tapes to label and organize his craft/homework supplies. I cut the strips of tape in half and put them on the sides of his pencil boxes. (A couple times the tape wasn’t perfectly centered, but I was easily able to remove the tape and fix it.) Since it seems like the contents of these boxes change all the time, I love being able to just erase the words and write something new. 1. Put strips of duct tape along a piece of paper. I just used regular printer paper, but you could use white card stock if you wanted your banner to be a little thicker. Then cut out the paper so that there is a slight edge of white on each side of the duct tape. Then cut across the tape into little rectangles that are all the same length. 2. 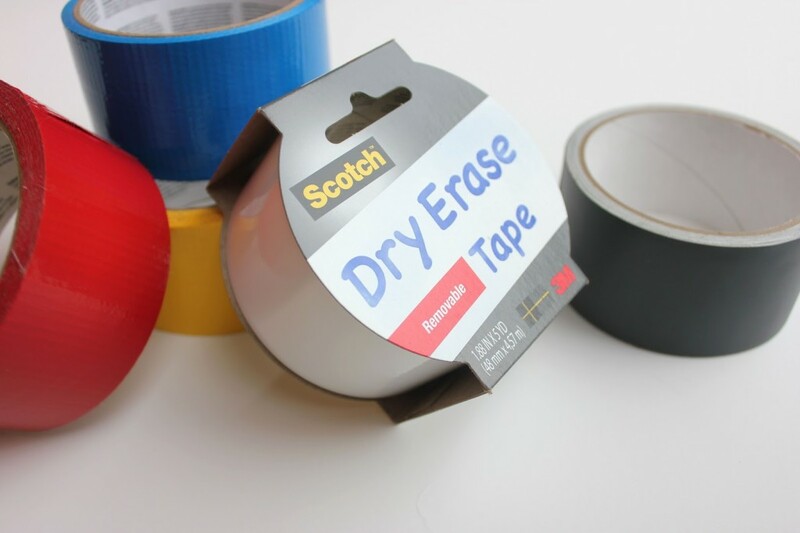 Trim some of the chalkboard tape so that it is narrower than the duct tape and place it on top of your duct tape rectangles. (Remember it’s removable). Create a template of some kind that you will use to cut out your triangle shape from the bottom to create the banner look. 3. Trace your template along the back of your rectangle. I wanted a little variation in each piece, so I wasn’t too precise when drawing and cutting. 4. Now cut out the bottom, cutting through the paper, duct tape, and chalkboard tape. 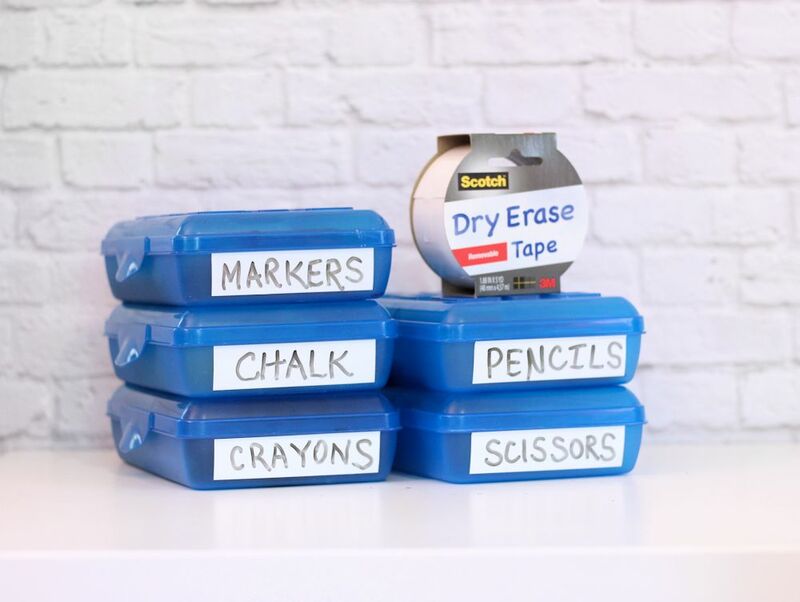 The chalkboard tape will still peel off easily. 5. Pull off the chalkboard tape and move it up so that some of the colorful duct tape shows at the bottom. I tried to center the tape so the space at the bottom was about the same as the spaces on the sides. Then cut off the piece of chalkboard tape hanging off the top. 6. Arrange all the pieces of your banner in order, face down. 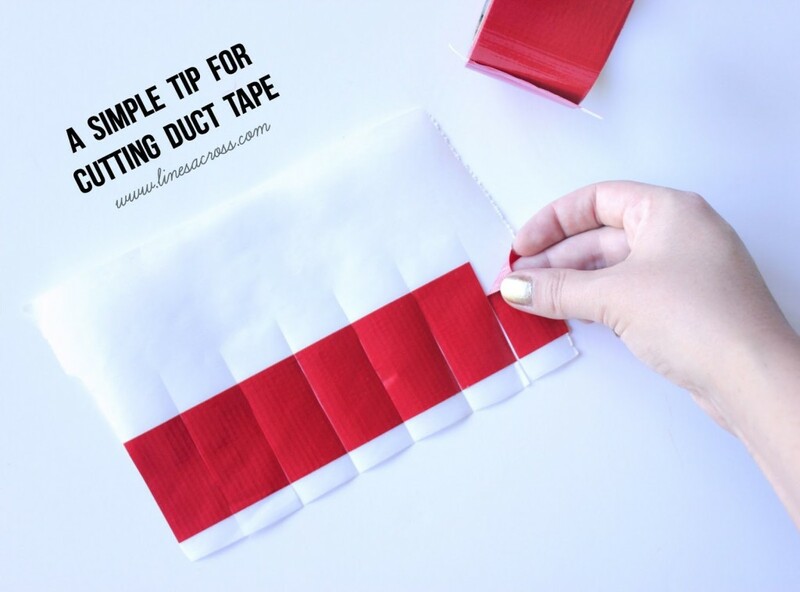 Use strips of duct tape to tape your twine, string, or ribbon along the backs. 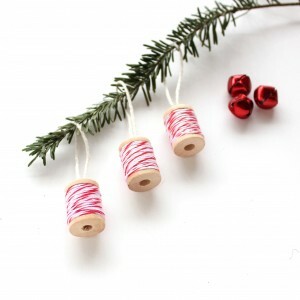 Make sure that all of the little pieces are evenly spaced and that the twine is near the top. 7. Get out some chalk, write your letters, hang and enjoy! Do you ever get frustrated when you’re cutting duct tape because the stickiness gets on your scissors? It can also be difficult to be really precise, or to cut a specific shape. Here’s a quick and easy trick: Put strips of duct tape on a piece of parchment paper. Then cut out the pieces or shapes you want. The duct tape pieces will peel right off like little stickers. It is SO much easier to cut and keeps the stickiness off your scissors. 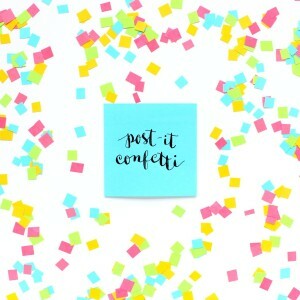 You can also connect with Scotch® Duct Tape on social media! Thanks for such a useful tip! 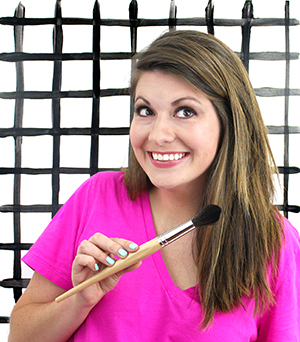 LOVE that tip and your banner is super cute!